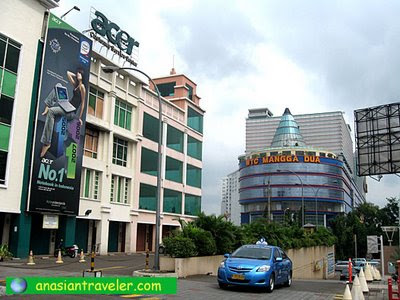 As I have mentioned in my previous post, the city offer a myriad of shopping centers. 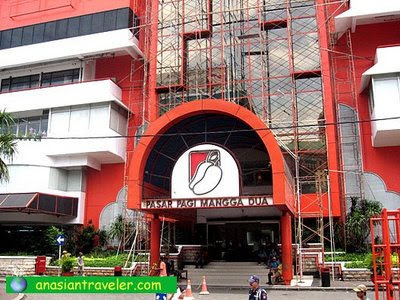 Our hotel is strategically located in the busy Mangga Dua district of North Jakarta, which has 6 main shopping complexes. 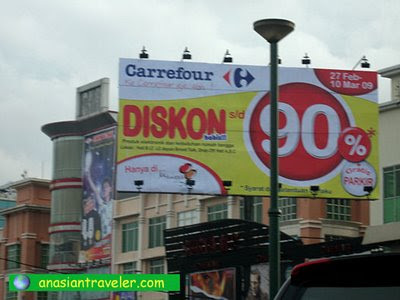 There is Mangga Dua Mall just adjacent to the hotel, not to mention Carrefour Hypermarket can also be found in the basement. 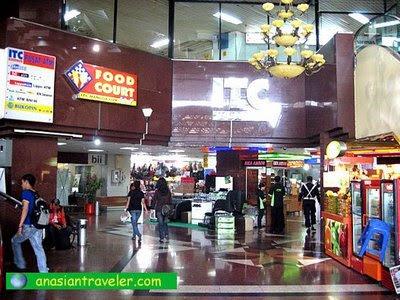 Within 10 to 15 minutes walk to The Harco Mas Mangga Dua, Mangga Dua WTC, ITC Mangga Dua I and II, Dusit Mangga Dua as well as Pasar Pagi Mangga Dua. 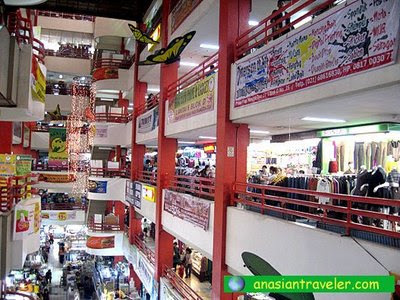 Normally what you will see in these shopping malls are RTW clothes, footwear, electronic goods, novelty items and a vast array of imitation goods sold at a dirt cheap price. 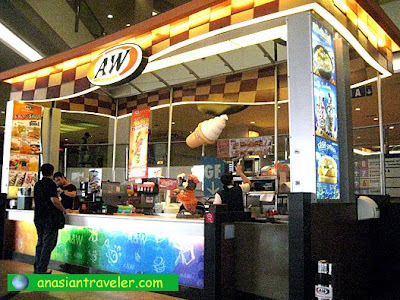 There are also food courts, cinema, and banking & ATM center. 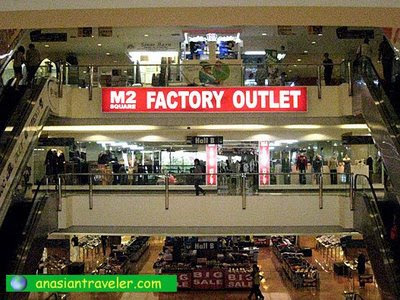 We happened to stumble upon M2 Square Factory Outlet located on the second level of Mangga Dua Square. It sells a variety of clothing including a few designer labeled items. Initially, I wasn't interested at all as the shop looks tacky and tawdry in appearance. But as soon as we rummaged the store, luckily we found a great deal on some brand-name goods. I bought half a dozen of original Esprit soft stretch printed tees for under Php 150.00 only, while hb had several nice polo shirts. However, please do remember as bargain hunters, it usually requires serious patience to comb the clothing racks and display cases to find some of the best ones. You also need a pair of comfortable shoes and great stamina to roam freely from one mall to another. Looks like the perfect place for some fun and serious shopping ! Glad you found some great bargains! 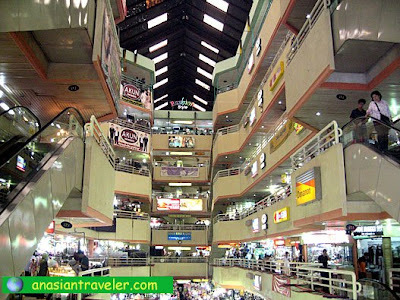 These Malls looks like those we have in Divisoria Area. 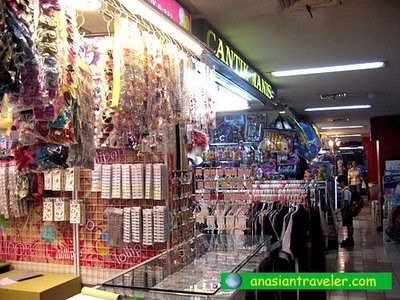 The bargain shopping area of Manila. 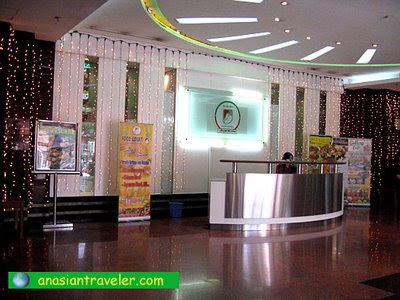 the interior of the malls there looks like the tutuban mall here. i like the modern structures in the area. Hi Asian Traveler! Interesting post. Great ideas for a new travel!! !